Energy is vital to the functioning of our societies. We need solutions that make it possible to combine sound economic growth with little environmental impact and customer convenience. District Energy is the key to sustainability. Its infrastructure enables the biggest carbon footprint reductions by allowing cities to harvest the potential renewable energies and surplus heat that otherwise would be wasted and thereby substituting fossil fuels. The Global District Energy Climate Award and its event is the occasion where outstanding innovative projects are awarded. The 5th Global District Energy Climate Awards Ceremony and Event will be held in Doha, Qatar on 24-25 October 2017. 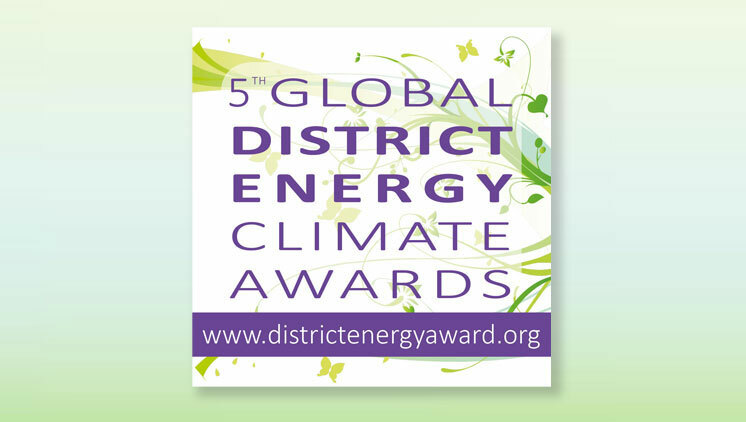 The Global District Energy Climate Awards bring together heating and cooling experts from around the world to recognise District Energy projects, schemes and initiatives demonstrating a high level of energy efficiency and innovation. Judged by a panel of highly respected professionals, these awards will provide a benchmark of success, bringing pride, peer acknowledgement and many other benefits. With 5 categories to choose from, including new scheme, modernization, expansion, emerging market and 'out-of-the-box', there is a category for everyone. The International Energy Agency (IEA) is an intergovernmental organisation which acts as energy policy advisor to 28 member countries in their effort to ensure reliable, affordable and clean energy for their citizens. Euroheat & Power is the international association representing the District Heating and Cooling (DHC) sector in Europe and beyond, covering all aspects related to District Heating and District Cooling and related energy sources and technologies including Combined Heat and Power (CHP). Euroheat & Power unites 23 national District Energy associations and has individual members (utilities, equipment suppliers and research institutes) in more than 32 countries. The International District Energy Association (IDEA) is a non-profit trade association founded in 1909 to facilitate the exchange of information among district energy professionals. It promotes energy efficiency and environmental quality through the advancement of district heating, district cooling and cogeneration and actively lobby to secure favourable policies, legislation and regulations for district energy.